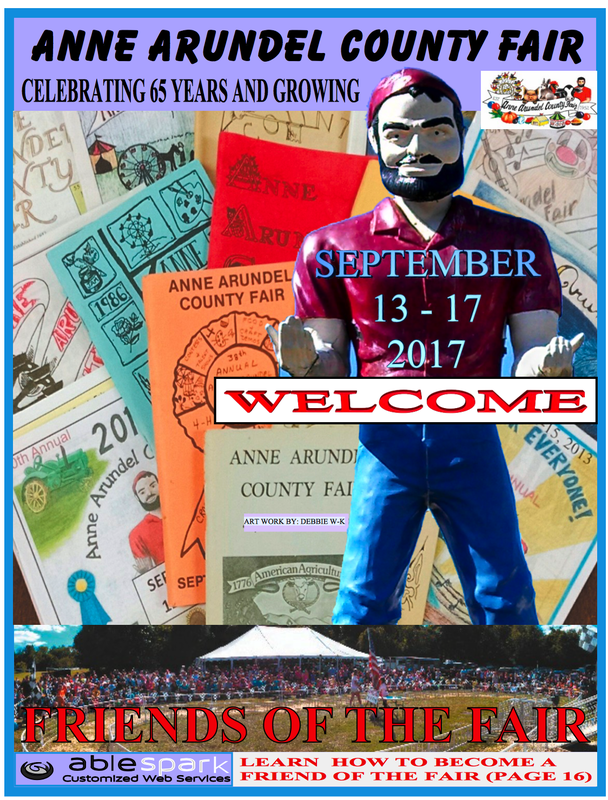 The 65th Anne Arundel County Fair is Wednesday September 13th through Sunday September 17th at the fairgrounds in Brownsville. There's truly something for everyone. Admission is $7 for 16 years old and up, $5 for kiddos 6-15, and free for tots 5 and under. 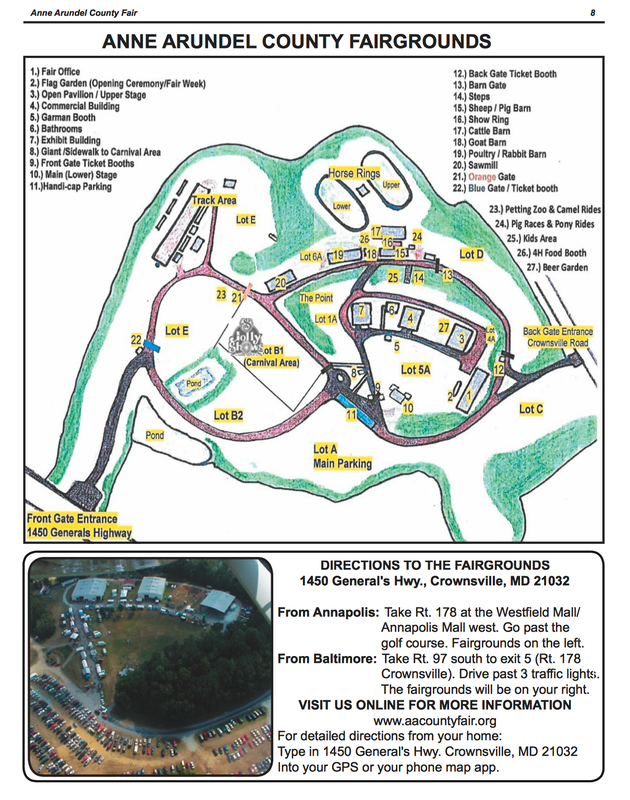 ​The fair has their own website that you can check out before you head on out. Check out the video below that talks about everything you'll see while you're at the fair. It's a few years old, but it's still pretty relevant. We went on Saturday and opened the fair at 10. After purchasing tickets, we headed down to the rides to pick up a wristband ($30) so my son and his friend could ride all they wanted. They had plenty of rides, from thrill rides like the zipper, to kiddie rides like the merry-go-round. My husband and I headed out to the barns, where they had sheep and cows to look at. While we were there, the 4H kids were showing their sheep. We went into the bunny and chicken barn, and my attempts to get my husband to OK us to get a bunny were strongly declined. In the exhibit hall, they had a nice couple who were manning a whole area talking about the benefit of bees. I told them how I didn't put the weed and feed on our lawn this spring, and all summer I had tons of clover flowers, and TONS of bees. He said someone nearby me must have hives, and it made me wonder who has those hives?? They were giving away free honey samples to all the kiddos, and they had a live hive behind glass so you could look and try and find the queen. Food choices were many, but not as many as the Maryland State Fair has. But for my crew of 4, we all ate well! One word of warning though. This year, the hornets were pretty bad. We had quite a few that would fly around us. We were sitting near the first aid tent (manned by a local Volunteer Fire Department), and more than once during our lunch someone came in with a hornet bite. One little girl had it on the middle of her leg, and she was just walking up the midway. So if you're allergic to that kind of thing, it might be a good idea to bring your epi-pen. All in all, we had great weather, the kids had fun (and turned a little green) on the rides, they made their donations to the games, and we all ate great food. We'd go back next year for sure! ​ See you at the fair!